An epiphany sermon preached at Southminster Presbyterian Church on Jan 5, 2014 by Marci Glass. Last week, as we sang our Christmas carols, we also heard the story of how Jesus’ family had to flee to Egypt to avoid Herod’s ‘slaughter of the innocents’, when all boys under age 2 were murdered in Bethlehem, just to make sure the King who had been born would not grow up to be a threat to Herod’s power. The texts are presented out of order, which makes it hard to get a sense of the narrative. But it is a reminder for us, as we look at the story of the magi, that there are brutal consequences to truth and light in the world. But, when we read these texts out of order, as the lectionary instructs, we can’t forget what follows the journey of the magi, or as the church calls it, Epiphany. This is an ancient Christian celebration, dating at least as far back as the 300’s. Tomorrow is the actual feast day of Epiphany, which is also, if you count it up, the 12th Day of Christmas. This word epiphany comes to us almost directly from the Greek. “Epi”, meaning ‘on’ or ‘upon’, and “phaneros”, which means ‘visible’, ‘apparent’ or ‘manifest’. So, an epiphany is more than just a “lightbulb” moment, or an “aha!” moment. An epiphany is something that is revealed to you. Something where light shines and makes something clear and manifest. The magi received this epiphany for all of us. They saw God made flesh and saw salvation for all people. But they weren’t the only ones to have an epiphany. The apostle Paul wrote about his epiphany, but he called it a revelation. He had been a zealous Jew who persecuted the followers of Jesus. And then God revealed something to him and he saw the world differently. So differently that he walked away from his old life as a successful Jewish leader and became an itinerant preacher, traveling the known world to share what had been revealed to him about the love and grace of Jesus Christ. Epiphanies do that. His life was so different after his vision of Jesus that he changed his name, and went from being Saul to being Paul. If you have an epiphany, but your life goes on as before, you might question how much of an epiphany it really was. Because epiphanies aren’t just learning new things. It is important to learn new things. Don’t get me wrong. The wise men had been studying the star charts, and had been reading prophecies, so they were prepared when they saw the star, and were equipped to follow it. While God can make Godself manifest to people in many ways, for the magi, they were present for the epiphany, for the revelation of Jesus as savior of the world, because they’d been preparing for it and because they had eyes open to see it. And while the magi studied and prepared so that they’d be in the right place for the epiphany, they did more than just study. If looking at their star charts was all they did, they wouldn’t have seen Jesus. They had to leave their telescopes and go on a journey. Studying the Word prepares you to go out and encounter the Word in the world. And the magi encountered quite a bit. They left Persia and journeyed to Jerusalem. They met King Herod. They went to Bethlehem, where they, like the shepherds in Luke, saw the star stopped over the family and they bowed down and worshiped him. Persian astrologers bowing down before a poor Hebrew baby. Quite a change, I would imagine, from their routine at the university. But, of course, the epiphany was only the beginning of the changes for the magi. And not all changes are easy. The epiphany of a child born as king in Bethlehem shook the palace in Jerusalem. The world responds when God breaks into the world—and it isn’t always peaceful, as we heard about last week. The magi were warned in a dream not to return to Herod, so they left for their own country by another road. But Matthew doesn’t say what happened next for the magi. Did they make it home? And if they did make it home, what was it like to return to their routine? Imagine parking your camel in the garage, and walking into the house. Everything looks the same, but you’re not, after traveling the world. Your spouse is ready for you to take out the trash and do the other chores they were left with while you traveled, but you’ve dipped my toes in the Mediterranean! You followed a star and it led you to a child. And you felt God’s presence in this baby. You offered your gifts of gold, frankincense, and myrhh to his mother, and you saw the look of confusion in her eyes as she wondered where they were going to put that when they got home. And you know the world is not the same. But you feel alone in that knowledge. Everyone else wants you to return to life as usual. You’ve just ridden on a camel for months, fleeing King Herod. First you thought he was going to kill you. Then you heard the reports and realized he killed the babies. Because of you. Had you not gone to him, asking him where you could worship the king, those babies would still be alive. Life is NOT “usual”, any more. This infant God has changed the world, has changed you. And you can’t pretend it didn’t happen. Epiphany is about God coming to us in ways we can’t unchange. We can never see the world again the same way. We don’t know what happened to the magi after they went home by another way, but we do know that once you encounter Jesus, you travel on different roads. And while they had prepared for their epiphany, and had set out to see it, I bet they didn’t expect what actually happened. Did they? Who did they think they’d be giving their royal gifts too? Had they been looking for Jesus in a manger, would they have gone to Herod first, seeking a king? Even when we’re seeking God, we rarely seem to find what we expect. Paul, perhaps better than the magi, gives us a better sense of life after an epiphany, because we have his letters. We can read of his travels around the known world, of his imprisonments, of his preaching, and his testimony, and his teaching. If you don’t know his story, he was a really good Jew. He persecuted followers of Jesus. He wasn’t seeking to follow Jesus. He was trying to stamp out the followers of Jesus. You can read more of Luke’s account of it in the Book of Acts. All Paul says himself in his letters is he had a revelation of God. Not the one he wanted. Not the one he expected. But the one he needed, and the epiphany that transformed him into the person who took the gospel to the corners of the known world. But here’s a problem with epiphanies. 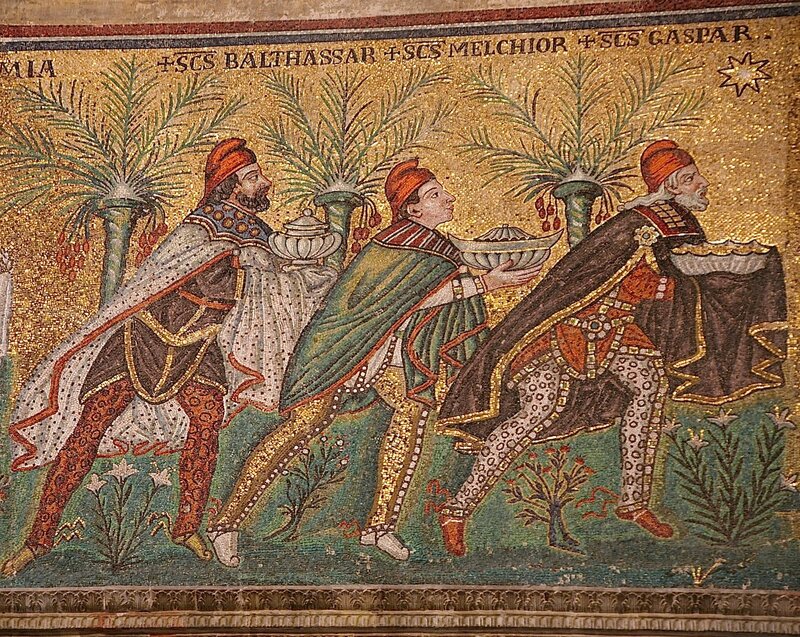 The magi had to flee King Herod for their lives when he heard the epiphany. Paul was put in prison for his preaching. And judging by his letters to the churches, people didn’t agree in understanding his message. Not everyone recognized the Good News as good news. And so epiphanies aren’t always something you can give to others after you’ve received them. Sometimes people need to have their own experience of the Divine. The most the magi could do was tell people what they’d seen. The most Paul could do was share the grace and mercy he’d received. The most we can do is live our lives reflecting the light of the star that has shined on us, hoping it will shed light for someone who finds themselves in darkness. Where do you find yourself this Epiphany? Maybe, like the magi, you’ve done the work and you’re actively seeking God. Or maybe, like Saul, you think you’ve already found him. Maybe you’ve already had your epiphany and you know the loneliness of the experience, when others just don’t know how it feels to be so different even though you look just the same. Wherever we are, individually, in the midst of this journey, I’m grateful we are here together to help each other along the way. We recognize our faith is a personal experience, but that doesn’t make it a private one. We don’t have to walk this journey alone. I’d like to close with a poem by Ann Weems, called Star Giving. or in the pocket of your being. God’s Advent Light into the Darkness of this World. who have knelt in Bethlehem’s light. Perhaps, if you ask, God will give you a star. I invite you to consider how that word might speak to your life in this new year. Perhaps you could use it to lead your prayers this year. Perhaps you could tape your star to your refrigerator or bathroom mirror and when you see it, remember to be prepared for the Divine to be revealed to you, wherever your journey may take you. I am thankful to be on this journey with you and look forward to hearing how God may be revealed to you this year! (Poem is found in Ann Weems, “Kneeling in Bethlehem”, p. 71 (Westminster John Knox Press). Link above). January 5, 2014 in Ephesians 3:1-6, Epiphany, Matthew 2:1-12, Sermon, Star Word, STARward. I would love a star. Last year, you gave me MOBILITY. I recovered from a knee injury and learned enough about hiking to start walking the Appalachian Trail in stages with my husband as we transition to being empty nesters. I got fired from a toxic job and found another that has huge growth potential and is SO MUCH FUN. I learned how to ‘mobilize’ my parents who are failing in health and mind without hating myself or having them hate me. I cannot imagine what word will top last years. 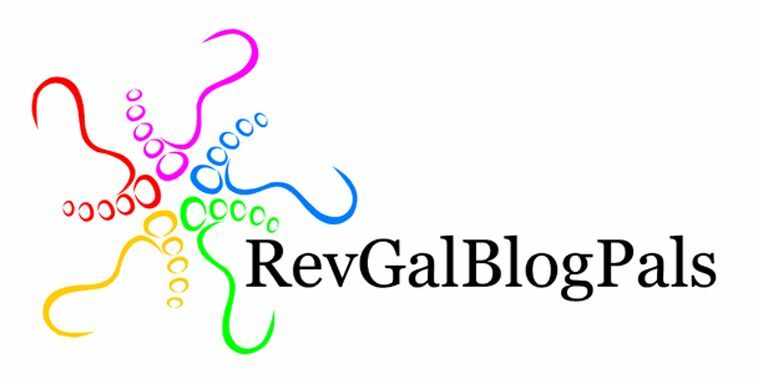 Thank you for fantastic blog posts and peeks into other churches so far from my Atlanta one but have similar challenges. Thanks! Your star word for this year is “venture”. Sorry to hear about your job. But yes, transformation seems to happen in those moments when a door has closed and there is no place to go but forward. Blessings to you in this new journey. I would like a star, thanks! The star word you gave me is perfect – if you only knew. An angel must have whispered in your ear. Thank you so much. You’re welcome. Look forward to hearing how it works on you this year! P.s. My husband, Scott, thinks this is so cool. He would like a star word, too, please. We are going to do this together. It will be very interesting and fun. God does have a sense of humor! Certainly! His word is “witness”. Can I have a star please Marci? I would like a star. Thank you for sharing your sermons, I enjoy your words and your revelations….always food for thought. I’ve been on a journey for many years after having an epiphany myself. I’ve had many blessings along the way, some good…some difficult….some very painful but worked out for the best in the end. I was sure I knew the direction I was heading but then there was a fork in the road. My bible study groups don’t want to hear the Good News in a different light and I’m getting tired….I’m going up against bricks and blocks. Thank you for adding to the conversation. The word I drew for you is “humor”. Hi Marci! Last year you gave me the word APPROVE. What a crazy year that word brought. When I finally stopped needing others to approve of me and the things in my life and past, huge doors opened up for me in the way of hunger advocacy. I am now a spokesperson for the Idaho Foodbank, been featured in a video story by Feeding America and was asked to be a part of the 2014 Hunger Report that is created by the Bread for the World Institute. I lobbied our Idaho elected delegation in Washington DC to protect SNAP and strengthen the safety net programs, If I were worried about what people thought or needed them to approve…none of this would have been possible. What a fantastic word I had for 2013!!! THANK YOU!!! May I please have a STARWord for this year please? So glad to hear how your word worked on you this past year! Your word this year is “freshness”. I live across the country in “Bethlehem” in Pennsylvania. A friend of mine shares some of your sermons with me and I LOVED this one. I would love a “star” word. Thank you! I’m not sure if I am doing this the right way. I did request a word for myself, Sandy; one for my husband, Doug and one for my son, Joe. I also wished that you would send me the list to share. Thanks, I asked yesterday on a different page I think. Thanks. I read the sermon and loved it and the poem. I assigned words to each of you above in the comments and I can email the list again if you didn’t get it. Could you email the list of star words you are using? Sorry, I was on vacation and away from my laptop. Did you get the list? If not, send me your email address and I can send it on. Thanks!